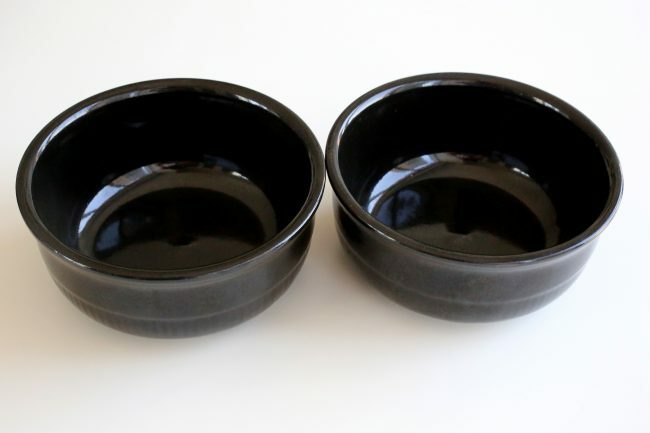 These Korean earthenware bowls and pots are called ttukbaegi in Korean and can be used to cook many Korean dishes including sundubu, doenjang-jjigae, and samgyetang. They’re perfect for stews and soups because the stone retains the heat so the dish remains hot until you finish your meal. If I can find them, I prefer the ones that are matte, not shiny and glossy. A medium sized one (1½-quart) is big enough for most of your needs. Having a larger one around is nice for parties. You can cook Korean food without them, but they are suitable for the Korean style of eating and food culture so it’s worth seeking them out. You should be able to find them in Korean grocery stores for less than $10 and as low as $4. You can find them on Amazon, too, but beware of high prices there! Posted on Thursday, August 7th, 2008 at 7:00 pm. Last updated on July 25, 2017. Posted November 23rd, 2018 at 5:20 pm | Log in to reply. I bought a Ttukbaegi 뚝배기 yesterday to replace an old one that had cracked. When I got home I realized it was made in China instead of Korea. Do you think it makes a difference? Posted October 21st, 2018 at 6:56 pm | Log in to reply. 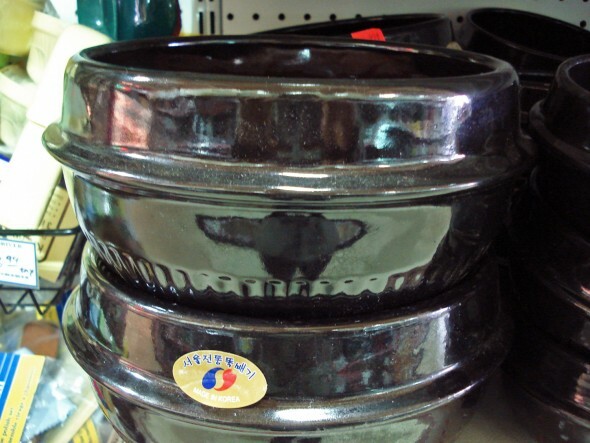 Maangchi, can you use this type of bowl to cook with on a glass top stove? Not induction, but still glass top. 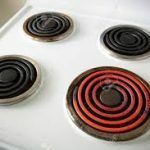 Will it scratch or damage the stove? Or affect how the food cooks? Posted March 19th, 2018 at 2:00 pm | Log in to reply. Maangchi, my mom told me I shouldn’t clean these earthenware bowls with soap like I do with regular dishes, because it’s porous. What’s an easy way to clean them? When I make steamed egg, it’s taking a long time to scrape off the egg stuck to the sides (with my fingernails!) and bottom when I wash with water. Posted March 22nd, 2018 at 8:42 am | Log in to reply. Your mom is right, don’t use soapy water to clean these. I usually use hot water to clean, but when I cook some greasy stuff I use coffee grounds, it works perfectly. If I have some burnt stuff on the bottom i scrub it with a wire scrubber, then it’s gone quickly. Posted February 21st, 2018 at 10:35 am | Log in to reply. Hmart seems to have these for about $6 near me but they’re made in China. Do you think the quality is going to be as good as the ones made in Korea? Posted February 24th, 2018 at 11:02 am | Log in to reply. I never check where these are made when I buy them. They should be all right if they are sold at H Mart. Posted October 17th, 2017 at 1:37 pm | Log in to reply. In your ttukbagegi bulgogi recipe what size is your Ttukbaegi? Posted September 27th, 2017 at 1:48 pm | Log in to reply. I have a quick question do I have to season the pot first or can I start using it right away? Also, how do I go about seasoning the pot? Thank you so much and I can’t wait to start using it! Take care! Posted October 19th, 2017 at 10:04 pm | Log in to reply. I usually don’t season it, I just start using it right away! Posted March 5th, 2017 at 7:23 pm | Log in to reply. I bought Earthenware bowl yesterday. I just want to ask if this can be use both on a top of electric coil.I have attached picture too..I am excited to use..
Posted March 5th, 2017 at 7:24 pm | Log in to reply. Posted March 6th, 2017 at 10:14 am | Log in to reply. Yes, you can use it on electric or gas stove. Posted June 6th, 2016 at 8:55 am | Log in to reply. Can I use the earthenware pot on the induction stove? Can’t wait to try your sundubu jjigae soon. Posted May 1st, 2016 at 6:14 pm | Log in to reply. I bought my first earthen bowl at Hmart yesterday. I just want to ask if this can be use both on a top electric stove and in the oven? I’m excited to use it for my Korean dishes! Posted May 1st, 2016 at 10:04 pm | Log in to reply. Posted May 2nd, 2016 at 2:38 am | Log in to reply. Jjigae is so tasty made in one of those! Posted May 2nd, 2016 at 9:23 am | Log in to reply. Thank you! There is a manual but it’s all written in Korean so I can’t understand it. thank you for the information. Posted May 2nd, 2016 at 10:07 am | Log in to reply. You’re welcome! It took me years before I had the courage to try that out. Works nicely! One more thing: If you have bought the plastic-plate to put it on: Don’t heat that and don’t put it in the microwave, either! The bowl itself – no problem. Posted September 21st, 2017 at 9:20 am | Log in to reply. Posted May 16th, 2015 at 2:04 pm | Log in to reply. 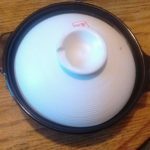 Hi Maangchi, I got a earthen ware pot from Hmart; however, I am not sure if I got the right size you use in your videos. The person who works there said it is size 4. Is that a medium size or Should I go a size up? Also, all they have was a shiny finish, no matte. Is that ok? Why do you not recommend shiny/glossy finish? Posted May 18th, 2015 at 9:41 am | Log in to reply. I have a few different size earthenware pots. “size 4” means it’s a 4 cup pot? “all they have was a shiny finish, no matte. Is that ok? ” yes, it’ll be ok.
Posted May 24th, 2015 at 6:27 am | Log in to reply. Thank you! :) I really enjoy your videos. Posted February 16th, 2015 at 12:37 pm | Log in to reply. Maangchi, I can’t find this earthenware in Korean stores near me (Boston). Do you have any recommendations to buy online? I found some on Amazon but they cost around $50 for a large. HELP? Posted February 17th, 2015 at 9:54 am | Log in to reply. Oh, that price is so high! I just looked and you are so right. They are charging 50 bucks for something that cost 7 or 8 dollars in New Jersey. 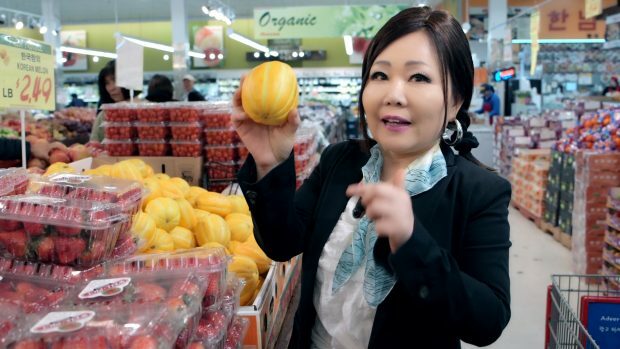 I feel so sorry for the folks living so far away from the awesome Korean grocery stores we have here. Do you have any friends who live near an H-Mart who can buy one for you and ship it? There are H-Marts all over the place! And the earthenware pot is really sturdy and can handle being shipped if it’s packed well. It’s not heavy either. Those people on Amazon marking up the price so high and gouging the sincere population that just wants a simple clay bowl to make stew. How dare they! Posted February 18th, 2015 at 12:13 pm | Log in to reply. Posted February 18th, 2015 at 4:18 pm | Log in to reply. The one you found is so cute, it looks like an itty bitty crock for making fermented food, like a baby onggi. Posted June 16th, 2015 at 11:10 am | Log in to reply. Posted June 17th, 2015 at 8:36 pm | Log in to reply. Try Chung Ge Oriental Market in Ayer MA. They don’t have a huge selection but they do have them at reasonable prices. They also have some hangari also. And the aluminum pots. I have a ttukbaegi and hangari from there! The owners are wonderful too.